WASHINGTON, D.C. -- At the start of the first school year after the widely publicized school shooting in Parkland, Florida, a higher percentage of parents than usual say they fear for their child's safety at school. Currently, 35% of parents express this concern, up from 24% a year ago and the highest at the start of a school year since a 47% reading in August 1999. 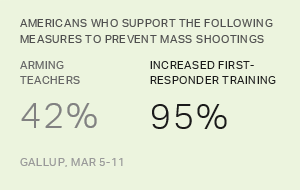 However, concern has been even higher when the question was asked immediately after a school shooting, such as the record 55% Gallup measured the day after the April 1999 Columbine High School shooting in Colorado. Gallup has asked parents about school safety regularly since 1998, including each August since 1999 except 2009 through 2011. In those 17 August surveys, an average of 28% of parents have been worried. While the question simply asks about children's "physical safety" at school, which could include bullying, physical or sexual assault, and school shootings, parental concern has typically spiked in the aftermath of a high-profile school shooting. The most recent increase follows the February Parkland shooting, which took 17 lives, and another shooting in May in Santa Fe, Texas, in which 10 people died. 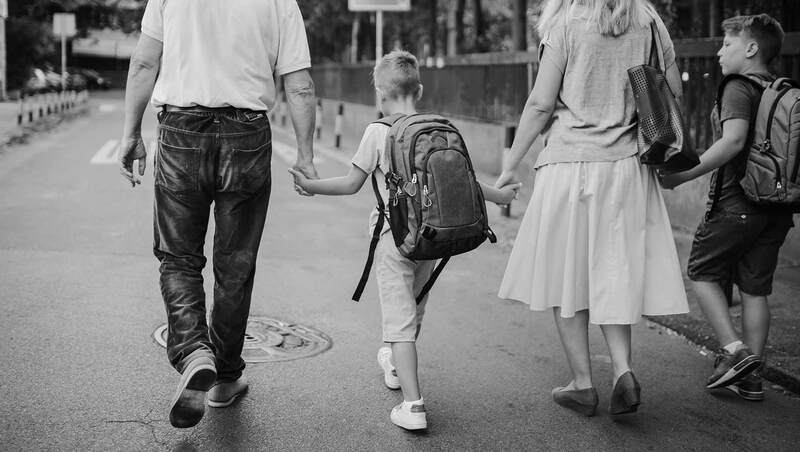 The percentage of parents who now worry about their children's safety at school is similar to what it was shortly after the Newtown, Connecticut, shooting in December 2012, when 33% were worried. Higher levels of worry persisted for several years after Newtown; not until last year did the percentage of concerned parents revert to pre-Newtown levels. Parents' concern about their children also remained elevated in the year after the Columbine shooting. No fewer than 43% of parents were worried in five separate measures conducted between April 1999 and April 2000. By August 2000, concern had subsided to 26%, but then spiked to 45% in a March 2001 poll conducted in the days after a school shooting at Santana High School in Santee, California. In the past 17 years, as school shootings have continued to occur, parental concern has yet to return to that level. The percentage worried has been as high as 35% in an October 2006 survey after a shooting at an Amish schoolhouse in Pennsylvania, and again this year. Children are also showing a heightened level of fear this year compared with past years, according to reports from their parents. Twenty percent of parents say their child has expressed concern to them about feeling unsafe at their school. The only time a higher percentage said that was after the Santee shooting in March 2001, when 22% did so. Children's concern was also high in the months after Columbine, at 18% in August 1999. Typically, closer to 10% of parents say their child has been fearful. The precise causes for the increase in children's worry this year are not clear. 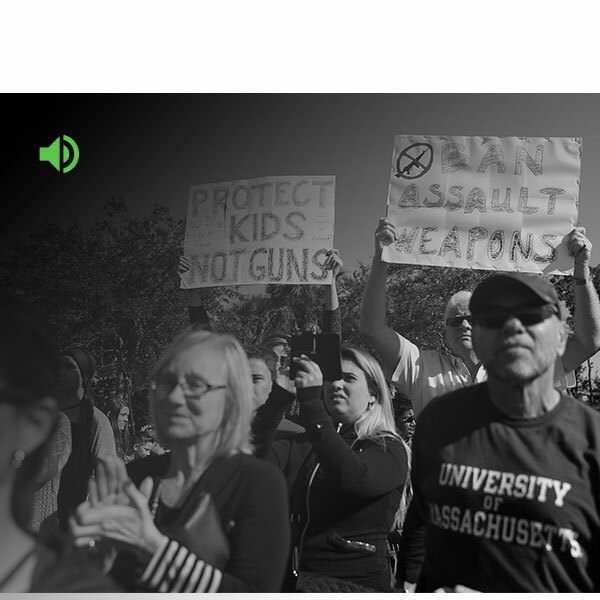 Two possibilities are that students are more aware of the Parkland shooting than prior shootings, given the student activism that arose after the event. Also, the incident may have led to an increase in "active-shooter drills" at schools, which an increasing number of schools have adopted in recent years. Although mass shootings at schools have become a common occurrence in the past two decades, they still stir fear in U.S. parents and children when they occur. But the effects of the shootings seem to have been weaker in recent years, with no more than 35% of parents expressing fear for their children's safety. To some degree, this may signal that parents have grown accustomed to hearing reports of such tragedies. But it may also reflect parents' awareness of the greater security measures schools have implemented to protect students from potential violence. The Newtown event, though sparking a smaller rise in parental concern than prior shootings, appears to have had a longer duration effect, perhaps because of the young age of the victims and news reports of teachers attempting to protect their young students from the shooter. It is unclear how long the effects of the Parkland shooting will persist. The event was notable for the rise in student political activism that followed the shooting. And while national political leaders struggle to agree on legislation aimed at preventing further mass shootings, state and local leaders have in recent months put in place new measures to protect students. Results for this Gallup poll are based on telephone interviews conducted Aug. 1-12, 2018, with a random sample of 229 parents of children in grades kindergarten through 12, aged 18 and older, living in all 50 U.S. states and the District of Columbia. For results based on the total sample of parents of school-age children, the margin of sampling error is ±8 percentage points at the 95% confidence level. All reported margins of sampling error include computed design effects for weighting. 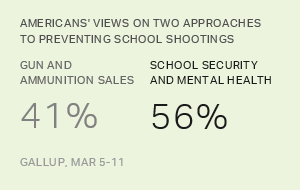 Given a choice, more Americans say their leaders should focus on school security and mental health than on changing gun sale laws. Preventing School Shootings -- Which Proposals Do Americans Favor?